Professor dr. Maria Roth is one of the founders of high education in the field of Social Work in Romania and since 2002 the chair of the Social Work Department in Babes-Bolyai University, Cluj-Napoca. She also directs the European Master in Children’s Rights, established in 2007 and annually admits 15-20 master students, offering specialization to graduates in social work, psychology, sociology, law, and other bachelor programs and post-gradual training for practitioners in the field of child protection, education, children rights, and public administration. Graduate and undergraduate students are required and encouraged to participate in practical and voluntary activities to promote children’s rights, being closely supervised both in their studies and their practical activities. 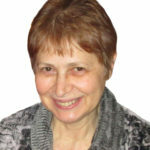 Professor Maria Roth, has published several books and articles in the area of children’s rights, child well-being, prevention of violence in schools and families, and the changes in the Romanian child welfare system. Her PhD is in psychology (early intervention) and has a rich practical experience working with children in different settings. 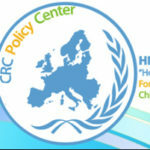 She is a member of the Euro child’s support committee working on participation of children and youth. Her research area is children’s rights and adverse childhood experiences, and she developed and directs numerous research projects in child welfare; children, violence and its prevention, domestic violence, program and service evaluation; and social exclusion.